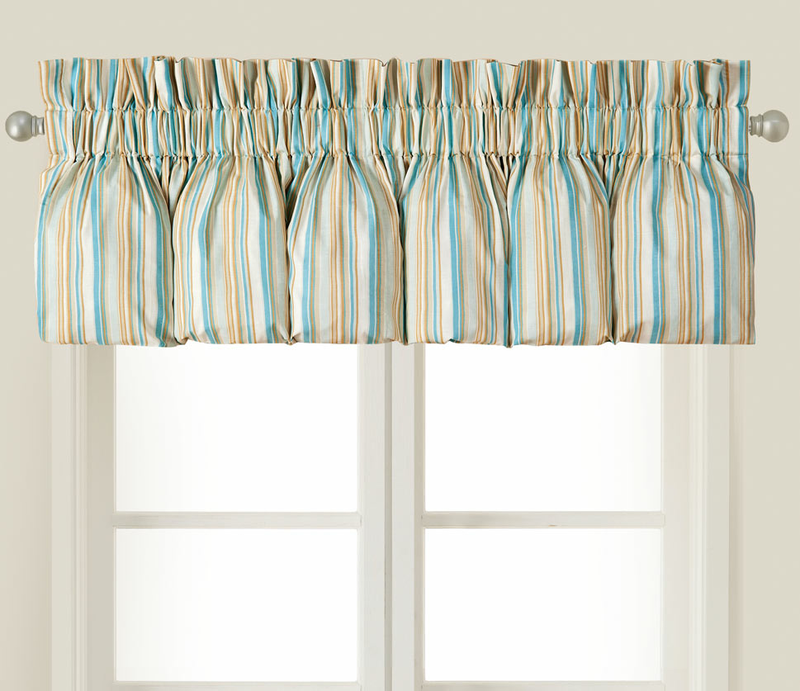 Give your bedroom coastal flair with the Sand Shore Striped Valance, detailed with multicolored stripes and a blouson look. Ships from the manufacturer. Allow 1 to 2 weeks. Cannot express ship. For further items, we encourage you to take the time to have a look at our thorough assortment of beach bedding at Bella Coastal Decor today.